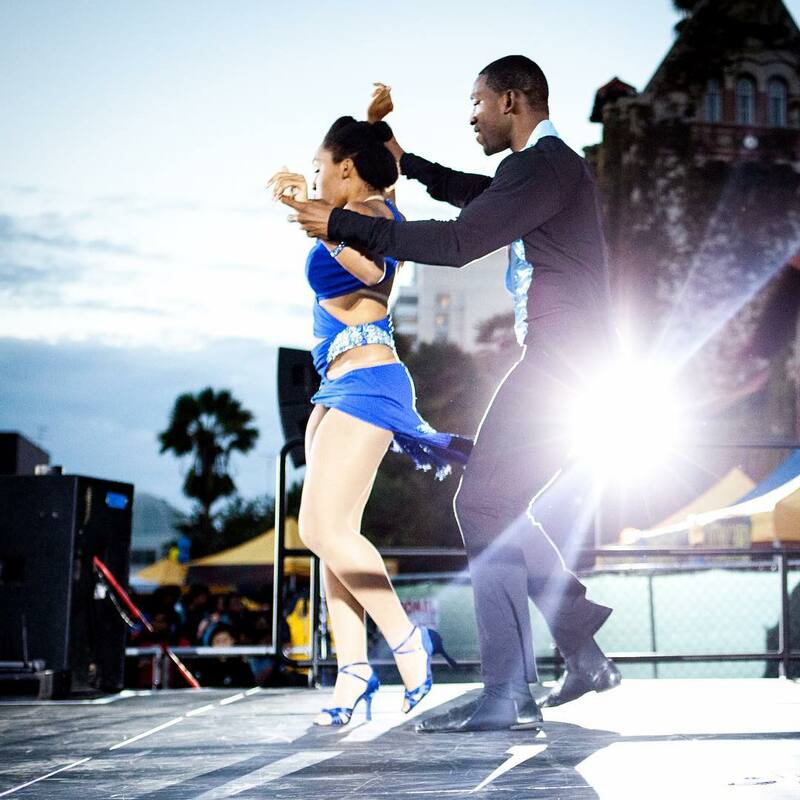 Thanks to everyone who came and supported two weeks ago at Fire on the Fountain, SJSU’s annual homecoming celebration! If you weren’t able to make, we were able to get some great photos of the event which we’ve posted to our Facebook page. Be sure to follow us on Facebook as well as Instagram and Twitter to see our latest photos and updates! Spartan Mambo Featured In Spartan Daily! 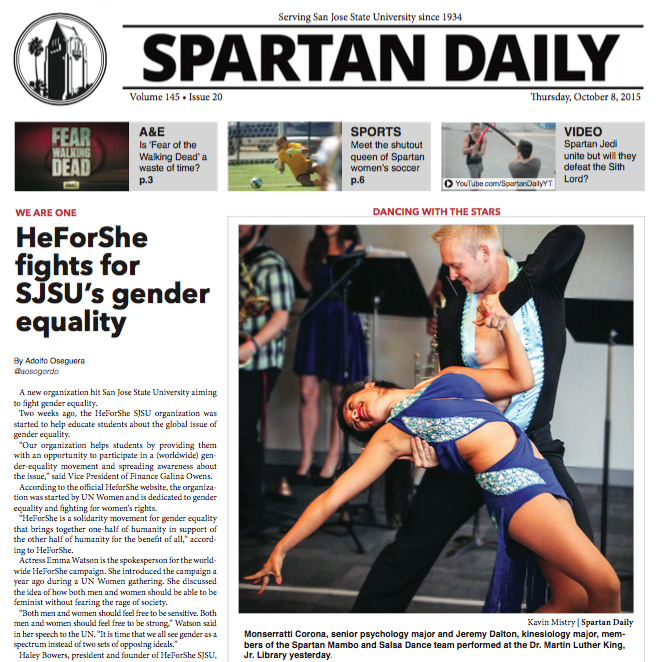 Check out today’s issue of the Spartan Daily for a glimpse at a performance we did this week at King Library! If you would like to see us performing live, we will be performing at Fire on the Fountain on Thursday, October 15th and at the International House Pancake Breakfast on Sunday, October 25th!